Models: 200.000 units in September! Registrations grew 61% in September, to over 200,000 units, shattering the previous record (174,000 units, in December '17). Will we see all Q4 months reach 200k, too? And reach two millions by year end? This positive result is placing the 2018 numbers at 1,3 million units (+68% YoY), with the global PEV share now standing at a record 1.8% share, which still makes realistic the prospect that this year we will hit over 2% share. September was all about Tesla and China, and especially the Model 3, with the Californian maker pushing up the production rate of its midsizer, resulting in a record 23,600 units being delivered to customers, breaking again the previous all-time record, distancing itself from the #2 Nissan Leaf. 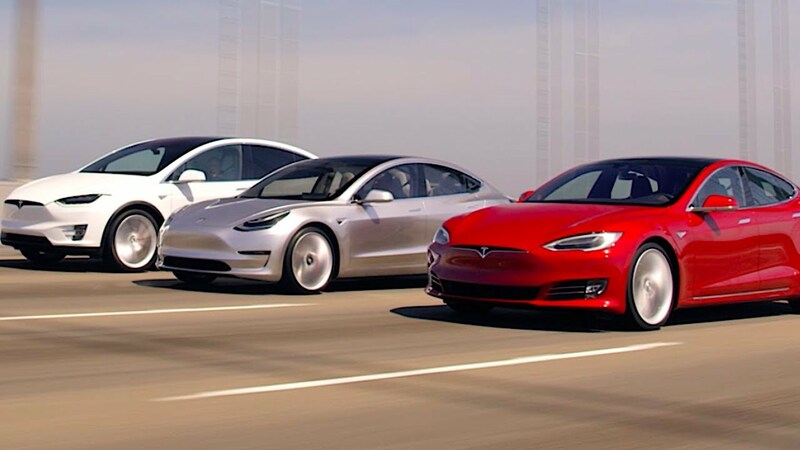 Still regarding Tesla, the older two siblings, the Model S and X, had brilliant results, with the Model S jumping two positions to #4, thanks to a year best 8.074 deliveries, proving that the larger sedan can go on its successful career, even with the internal competition of the Model 3. As for the remaining YTD ranking, the Mitsubishi Outlander PHEV climbed one position to #10, scoring its best result (4.952 units) since December '15. But the true surprise was the BMW 530e jumping three positions, to #16, thanks to 4.839 units, the nameplate's best result ever. Looking at the BEV / PHEV breakdown, pure electrics have grown their share by 1%, to 65% of the total market, mostly thanks to the Model 3, and expect this score to be improved even further during the year, to levels above the 65% share of 2017. 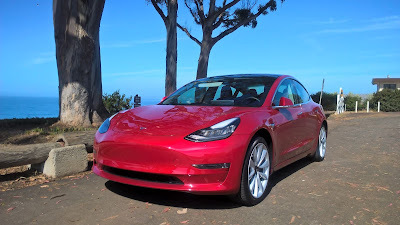 September saw Tesla break once again the all-time record, with over 38,000 deliveries in one month, thanks to the Model 3 deliveries, allowing the brand to distance itself further from BYD, while the Chinese maker also hit record levels, with over 26,000 units. 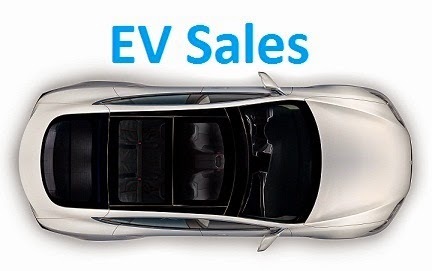 With both brands now hitting unseen sales levels month after month, there is no question on who will be in the first two positions, and with Tesla apparently ramping up production faster than BYD, it all points out that the US brand will finally win its first Manufacturers title, after 10 years on the market. Coming down from Outer Space and back to Earth, there aren't significant changes at the top, with #3 BAIC keeping an eye on the Fourth Placed BMW (new PB, last month), while Roewe is now defending its Fifth Position from Nissan. Below the Top 10, Hawtai was the Climber of the Month, thanks to a record 7.639 registrations, jumping two positions to #12, while Mitsubishi has finally started to recover, having climbed one position last month, to #15, thanks to 5.009 units, its best result since 2016. while Hyundai was up one position, to #17, thanks to a record 3.901 units. A final reference to Changan, that with 3.962 deliveries, displaced Mercedes from #20 and joined the Top 20. José, I wouldn't want to quibble as I know that this blog requires a lot of work, but as the TM3 deliveries figure in Q3 is now available (56.065 by the earnings), the total of TM3 deliveries, so far, is 82.646. Not a big difference, but as other cars have not their figures rounded, I guess that should be fair to give the exact figure for the TM3. thanks for the input, number now corrected. Looking at the list of the top 20 of Europe, we see that Volkswagen has 3 models in the list of the top 20 of Europe: VW e-Golf, VW Passat GTE, and VW Golf GTE. The combined total of these three Plug-In models is about 32,500. And if we then look at the list of the top 20 of the Global Brands, then we see that Volkswagen is at position nr 7 with 60,031 units. That is strange. The difference is about 27,500 units!!! Can you please provide an explanation for this huge gap? My bad, mistake on the formula. Now corrected. Thanks for the input! VW in global top 20 august 2018 - 55373. VW in global top 20 september 2018 - 36474. Jose - Suggestion for future months after you have compiled each countries numbers: It would be incredible if you could put month to date, year to date and market share information in a table by country. For example, 1st: China, 100K QTD, 650K YTD, 4% market share. 2nd USA, 40K QTD... etc. I think it would help to break out in a single simple table each month how different countries are comparing against each other. China is a major contributor to the total. Oh yes. And there will be more on that in the coming days. So with the update the GM Bolt has now been pushed out of the Top 20. There are exactly 2 Plug-In models from European car manufacturers in the top 20. At position 13 there is the Renault Zoe, and at position 15 there is the BMW i3. Their combined YTD total is less than 50,000. European car manufacturers are actually not that successful at all (from a global perspective).